SACRAMENTO, Calif. /California Newswire/ — Moving to help California businesses get started and hire more quickly, Governor Edmund G. Brown Jr. on Wednesday signed AB 113 (Assembly Budget Committee), which directs additional funds to the Secretary of State’s Office to accelerate the state’s business filing process and eliminate a massive backlog of filings. 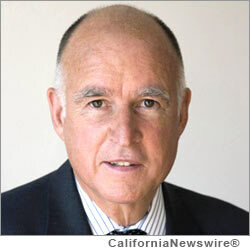 “The sooner Californians can form their businesses, the sooner they can put other Californians to work,” said Governor Brown. AB 113 provides $1.6 million to the Secretary of State’s Office to process a backlog of business filings that has grown to over 100,000 in recent months. Under California law, certain businesses, including corporations and limited liability companies, must file these documents to — among other things — organize to do business, change governance structure or inform the public regarding status as a domestic or foreign corporation. In recent months, these business filings have taken up to three months to be processed. With these additional resources, the aim is to help reduce waiting times to between 5 to 10 days by November of this year. This bill is effective immediately. For full text of the bill, visit: http://leginfo.ca.gov/bilinfo.html.